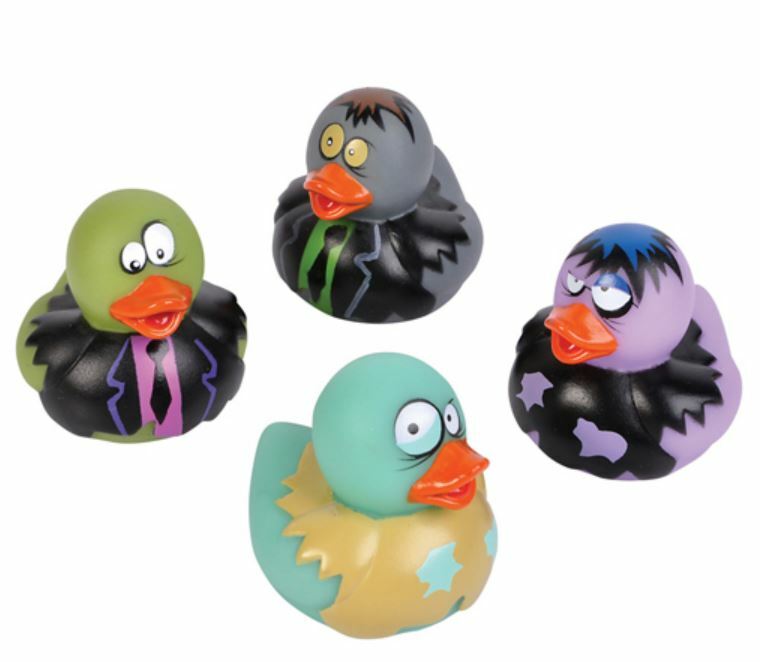 These Zombie Themed Rubber Ducks feature a great level of detail and make a great joke gift. Each zombie is unique with various crazy eyes, coloured skin and torn clothing. They make a cool novelty ornament and are a great addition to an existing rubber duck collection. Excellent as a halloween accessory or a fright night monster themed prop! Comes as a set of four. From our Novelty Rubber Ducks collection.